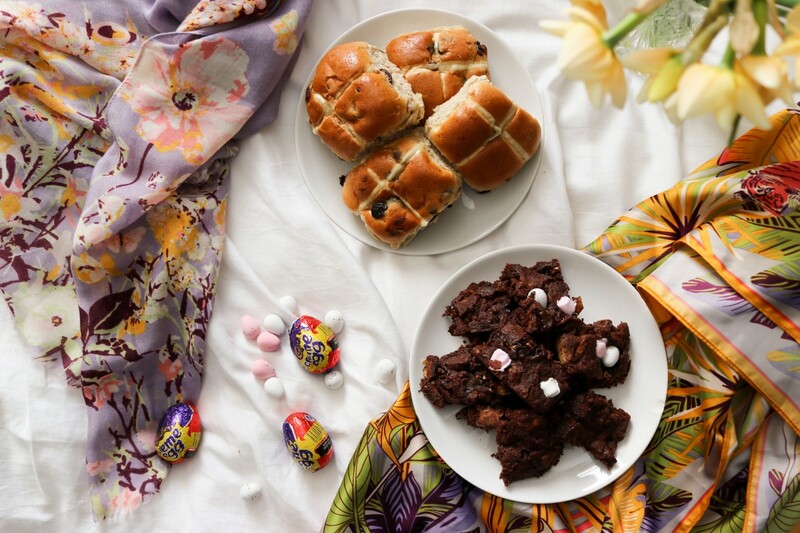 One of our favourite things about Easter is all of the sweet treats that come along with it; from hot cross buns to chocolate Easter eggs and more! There’s always an array of things to make your dentist concerned! 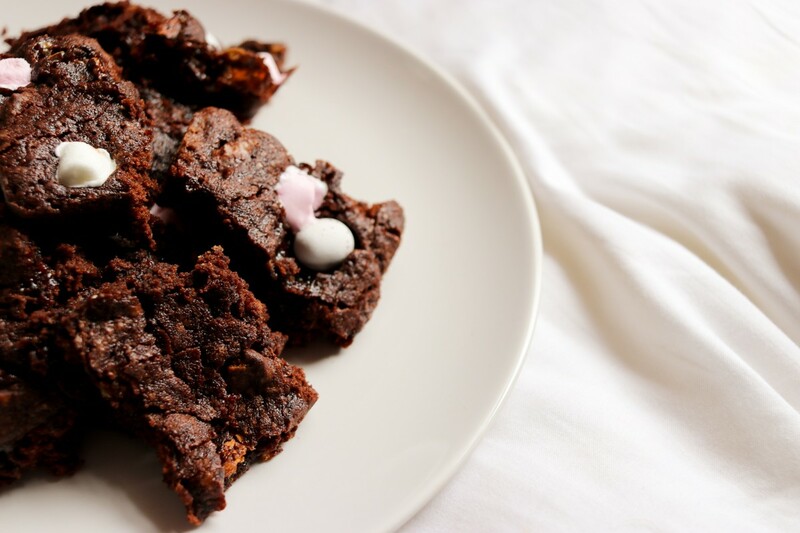 While we always like to execute moderation, the same can’t be said when it came into cramming in as many tasty treats into our - rather experimental - Easter Egg Rocky Brownie recipe this Easter! 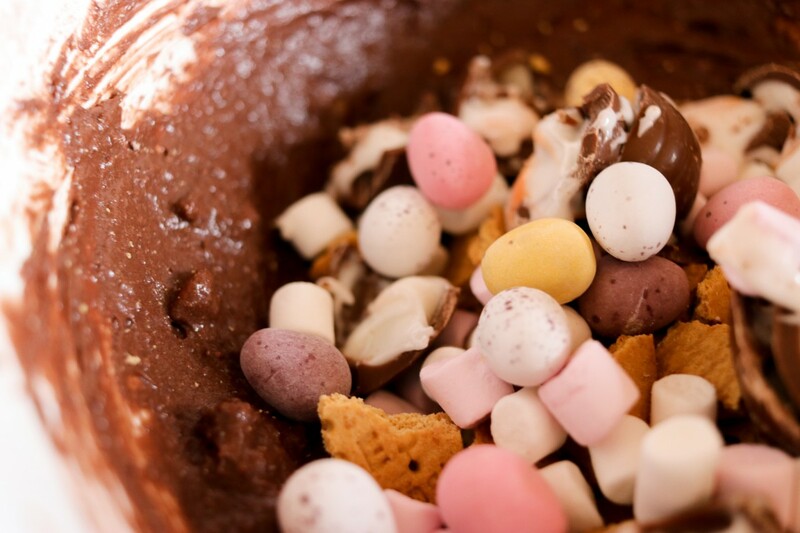 If you’ve got little ones, this recipe is perfect for getting them involved – and if not, then luckily you’ll be able to enjoy more yourself (and probably not have to deal with quite as much mess)! First of all you’ll need to preheat your oven to 180C/160C fan/350F. From here you can then lightly grease and line a tin that is approximately 18x26cm, or an equivalent sized square tin. There are two ways to do the next step; you can either use a large heavy based pan to gently melt together your butter, cocoa powder, dark chocolate and sugar while stirring constantly. 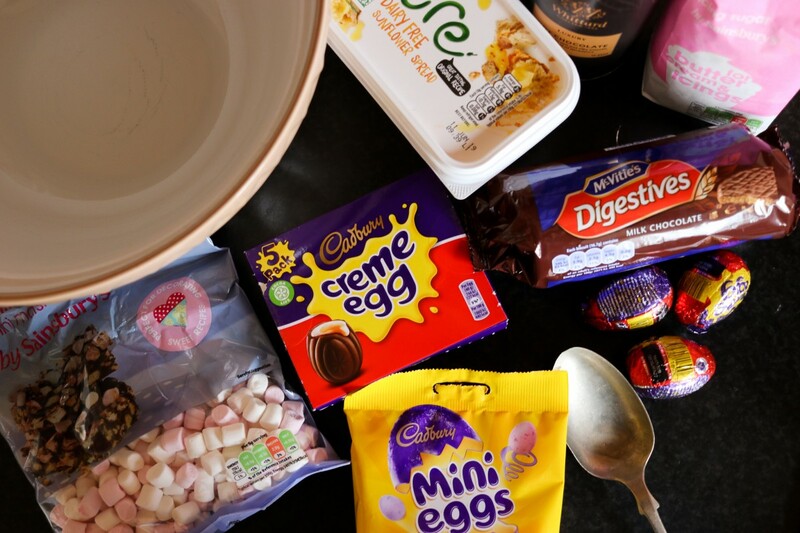 Alternatively, if you are worried about the chocolate and sugar burning, you can put the ingredients in a large heat proof bowl and melt them gently together over a pan of gently simmering water. The latter option is a bit of a safer option and works just as well. At this stage, the mixture might look a little grainy – don’t be concerned – it’s completely normal. Let the chocolate mixture cool for about five minutes, then beat in your eggs and vanilla. Once that is done, you can beat in the flour, then stir through you Digestive Biscuits, Mini Eggs, and Marshmallows – at this stage you can also break up the Crème Eggs and mix those in too. 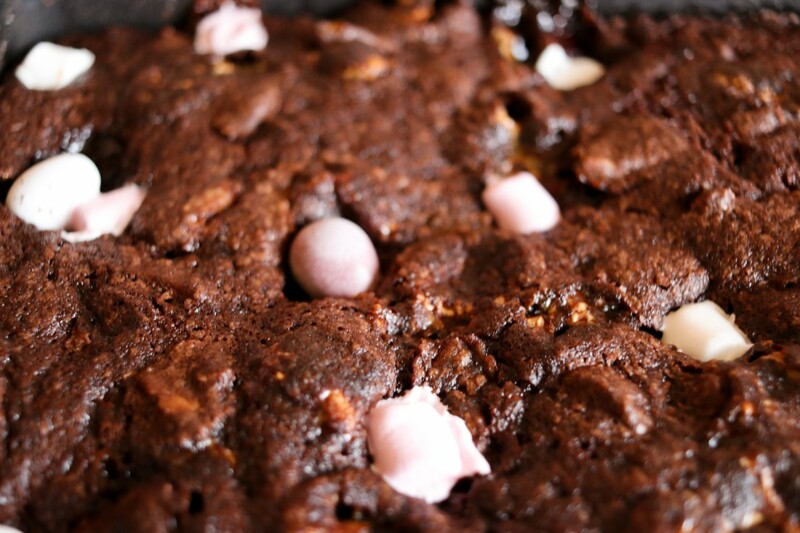 Pour your Rocky Brownie batter into your prepared tin and bake for about 15 minutes, once cooked you can place a few Marshmallows and Mini Eggs on top for decoration. Return to the oven for about another 5 minutes, until the brownies are just set. Let it cool completely in the tin before slicing it up and enjoy! A very Happy Easter indeed! What did you think of our combination? Did it work for you, or would you rather stick to a classic? 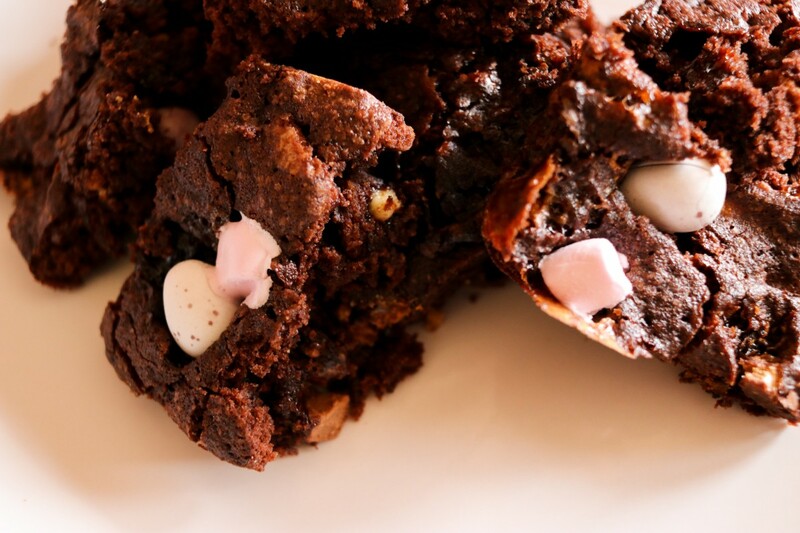 Perhaps you're more than happy to enjoy your Brownie and Easter Eggs individually? Or maybe we've helped you discover a whole new way to enjoy this simple and tasty sweet treat!